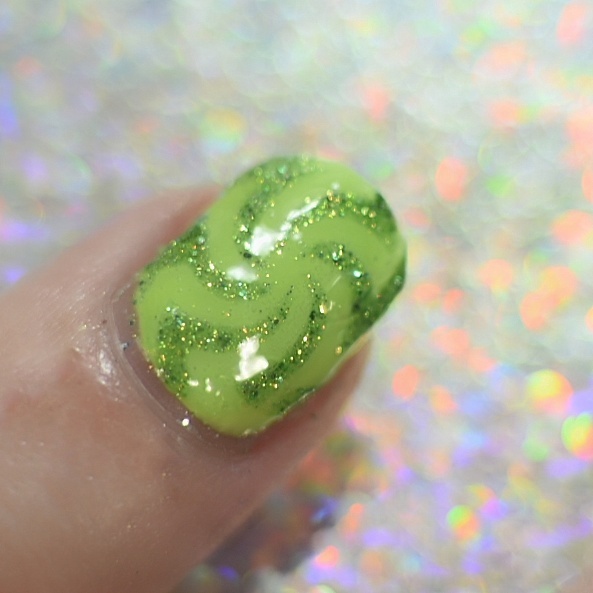 I started with a base of China Glaze Grass Is Lime Greener. I then decided to try a new technique for nail vinyls. Instead of putting them directly on my nail, I made them on my Born Pretty Store mat. 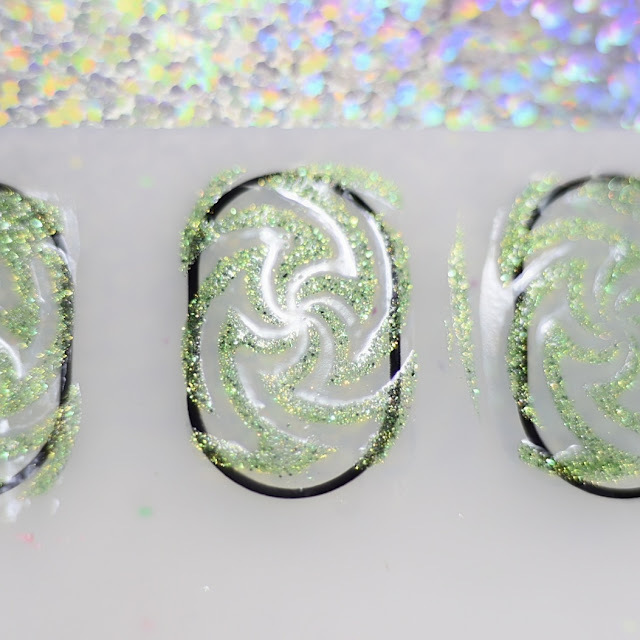 After I created the design using my What's Up Nails nail vinyls and Zoya Cece, I topped it with a Wet n Wild clear nail polish. I'm really impatient, so I topped that with my quick dry top coat. After about 45 minutes, I transferred them on my nail and cleaned it up. I usually have a tough time getting nail vinyls to give me a crisp, clean look because my C curve is so curvy. This technique gave me the ability to achieve the look I wanted. Have you tried this technique before? Let me know in the comments! Very clever way to make the vinyls work! Interesting way to use vinyls! 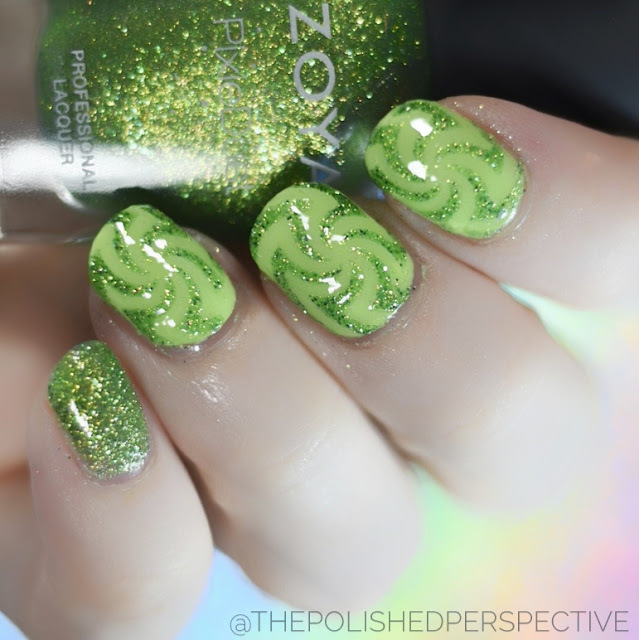 I tried this technique once but the polish kept pulling up with the vinyls. Probably have to work pretty quick I'm guessing. Love your mani though! I really need to try that technique with vinyls now. I have a rough relationship with them right now. This is how I've been using vinyls lately because I use a peel off bc, so putting it on my nails, it peels everything right off, haha. Such a sweet final look, I love it!